Glenn Andrews, WB6LSC, operated the original repeater for the Tuolumne Amateur Radio Service (TARS), which was later associated with that amateur radio club in this county and our Sonora Pass Amateur Radio Klub (SPARK) — although the clubs never actually joned together. TARS held regular Sunday morning nets on 80 meters, both with cw and voice. Malcom Stuart was net control for the cw net and, usually, Harold Frith for voice operations. 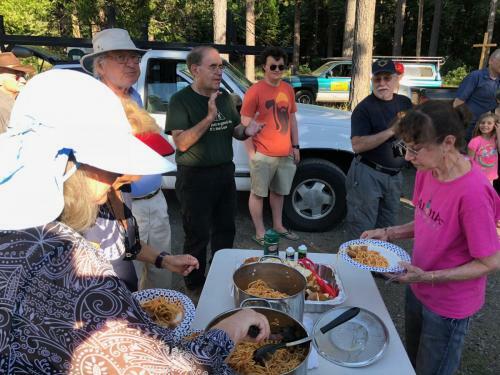 TARS members met regularly once a month at the Veterans’ Hall, and continues to this day at members’ homes when surviving members get together. In 1982, Burt Wilcox got a call from the CDF reporting a wild fire north of Jamestown and asking for amateur volunteers to aid in communication. He and Ed Gelston (and possibly others) responded, using HT’s to work with the San Andreas control. In essence, this started amateur participation in the VIP Volunteers in Prevention program. Burt bought the LSC repeater from Glenn’s wife after Glenn passed away and decided to build a new one, using the old one for spare parts. He operated the new one, W6FGC, from his residence in Twain Harte for a number of years until he moved it to Andy Anderson’s residence above Soulsbyville. The frequency, 146.115(+) remained the same. In 1986, Burt, Andy, Ed and a few others decided to start SPARK in order to provide a VIP group, more classses, and emergency repeater service to the local area, the county and as much of the state as could be reached from Twain Harte. Burt could hit the bay area from his residence. Burt also published the SPARK newsletter for many years. 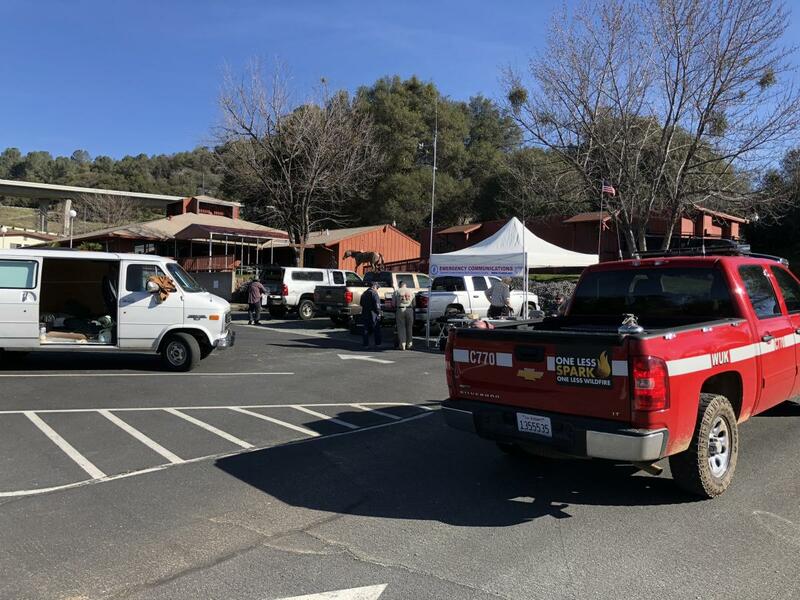 Meetings were held monthly at CDF headquarters in Twain Harte to begin with, and classes were conducted there and at the Sonora CDF headquarters. Ray Word, KD6CEG was one of the first pupils and, later, a teacher. WA6NSK, Jim Clark, who was an officer with the local CHP, was also very active. Hams from Modesto also cooperated with the SPARK club at first to help get the organization going. Later on, and continuing to the present, SPARK meets monthly on Saturday mornings to provide programs of interest to local hams. One of the club’s stand-out activities happened during 1987. The Stanislaus Complex fire occurred in September of that year. It was of such a magnitude that all of the CDF and USFS communications service were strained to the limit. 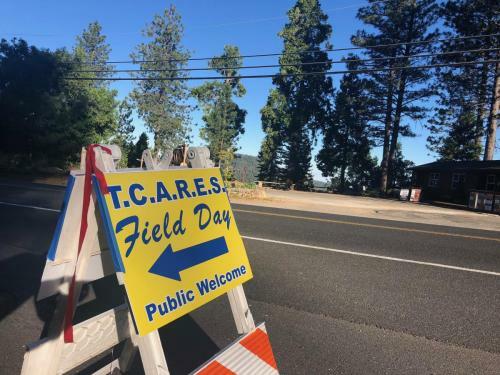 Burt took over coordination of amateur radio services to help them out and, for eight days, worked at his residence with hardly any sleep to keep our crews working in the field with the state and national forest fire fighting organizations. (There were at least five of our crews in the field and probably at least three repeaters in use to cover the situation. Burt kept the effort organized for all of us.) There is no way that Burt can be thanked enough for his efforts during this emergency. Primarily as a result of interest in amataeur radio generated by activity during the fire, membership in SPARK boomed to include many hams from outside the county as well as local people. A lot of members who joined at that time are still active in SPARK, the present list includes about 60 names. Ed. note: It is also interesting to note that amateur resources in Tuolumne County have expanded from the original repeater and 80 meter operation to include 160 meter operation, 10 meter operation, three VHF repeaters, one UHF repeater, one APRS digipeater, packet radio operation and a mobil comunications unit. I tested the 975 repeater coverage all along the Crabtree trail corridor including … Pine Valley, Grouse Lake, Ground Hog Mdw, Louse Canyon, Wood Lake, Latora Lake, Huckleberry lake, Gem Lake, Piute Lake.. This 975 repeater gives excellent coverage with 5 watt Hand Held Transceiver .. occasionally you have to take 5 minutes to climb up a nearby granite rock to get coverage such as at Louse Canyon and Piute Lakes.. but on the ridge overlooking Huckleberry Lake I talked with Phil Fish using just one watt 🙂 … How about that. As you know the Forest Service Repeaters Tone 1, Tone 7, Tone 5 and Tone 9 provide almost no coverage in central emigrant wilderness including at trail heads. We still have very little radio coverage of any kind (Forest Service or Ham) in Northern Emigrant Wilderness due to the 9000′ Cooper Peak/Eagle Peak/Three Chimney’s Ridge that blocks radio coverage West to East. However when you get up on any of the passes (Brown Bear, Mosquito Pass, Big Sam, Granite Dome, Bond Pass) or the high elevation lakes & meadows & valleys (Upper Relief, Emigrant Mdw, Summit Mdw, Snow Lake, Bigelow Lk) or get East of the 3 Chimney’s and Granite Dome Rock structures then you can get the 975 repeater. Right now the best radio coverage for Northern Emigrant Wilderness is Tone 5 USFS repeater on Mount Reba or the summer only Tone 4 repeater on Relief Peak. Anyway.. thought you would be interested..Wow.. are we ever excited.. I am keeping some of the Nordic Ski Patrol and SAR folks informed because this may solve some of their communication problems if they decide to use this repeater and get their Ham Operators License. TCARES has located a repeater ( K6TUO on 147.975 MHz,(-) offset, CTCSS 100hz ) to a location which will better serve areas of the county which were not covered by a repeater. The primary coverage areas for this repeater are Wilderness Areas which are patrolled Summer and Winter by a group of Volunteers.. TCARES suggests adding this repeater to your Radio and monitor for Emergency traffic.